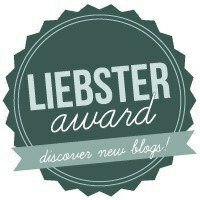 Thank you so much, you beautiful people at http://www.threescooking.com for nominating my blog for the Liebster Award. I’m truly honoured this is so beyond my expectations. I am very pleased you like my blog. Nominate five to ten of your favourite blogs with fewer than 200 followers. Provide a link to each, and notify them their nomination. List at least three things in nature do you find most beautiful? I always look up to the sky, I love flowers and finding a beautiful vision that takes my breathe away. What individual item of food would you not eat, even if it was served to you at the Queen/President’s dinner table? (Something ordinary.) I’m not a meat eater, fish for my please! What is your biggest fear or phobia? (no photos please) Large crowds….I’m an introvert. Which of Snow White’s 7 dwarfs describes you best? Plus what would the 8th dwarf’s name be? (Doc, Happy, Bashful, Sleepy, Sneezy, Grumpy, Dopey) Has to be Doc! My 8th dwarf would have to be Arty. Always drawing or rhyming like a poet. If you were a crayon, what color would you be? An azure blue like the Mediterranean Sea or the Summer Sky. Is the glass half empty or half full? What is in the glass? Flower petals are in the glass jar. Like when you make rose water from rose petals and water as a child so I would also have to say the glass is half full, and smells divine. How did you get the name of your blog? I have worked in healthcare for twenty years so I think along the lines of wellbeing. I am also a believer in Balance as a prospect for healthy mind, body and spirit. I love nature and the outdoors so the meadows is part of the title. I grow up near roaming meadows and fields and find it is my homely place to be. I can reminisce of my childhood memories climbing trees and running free in green fields and looking up at the stars. If life was ‘just a bowl of cherries’… which fruit would you rather be..? I love cherries. They have tough little skins and are very adaptable. I really hope you have the time to participate in your nomination. It helps network with other bloggers. Although since we all have our lives outside of our blogs, I totally understand if you can’t or don’t want to participate. 2. How did you come to name your blog? 3. If you could invite 3 people to dinner who would they be? 4. Where do you find peace? 5. Which post on your blog are you most proud of? 7. What is your favourite time of the day? 10. Who has been your biggest teacher in life? Categories: Uncategorized | Tags: awards, bloggers, liebster, wordpress | Permalink. I’m thrilled that you participated. I really like your glass with flowers..since I’m such a flower gal myself. Congrats! Thanks for nominating me. Yes, I love messing in the garden, flower girl here too. I like your blog followed you today. Yes, it takes a while, you deserve the award, your photos are amazing.